One of the main characteristics of any lamp is its power. This depends on the luminosity, especially for incandescent lamps. Knowing the power consumption of the lamp, we can calculate the total power consumption of the lighting system of the apartment or office. On most lamps specify their power consumption and the nominal voltage at which the lamp operates. For example, if a bulb is written 220 V and 60 W, it means that when included in the network with a voltage of 220 V, its capacity will be equal to 60 watts. This is the maximum power that could give this lamp. If the power lamp does not have it or it works in a network with a voltage below nominal (if the voltage is above nominal, to happen a short circuit, and it will simply burn out), measure its power independently. Connect the tester in the mode of the wattmeter in parallel with the lamp, connect it to the power source, it will show its power. In the absence of power meter power operating lamp can be calculated independently. To do this, connect the lamp to the current source. Consistently it will connect the ammeter and parallel voltmeter. Closing the lamp to the power source, remove the current reading from the ammeter in amperes, and the voltage of the voltmeter in volts. 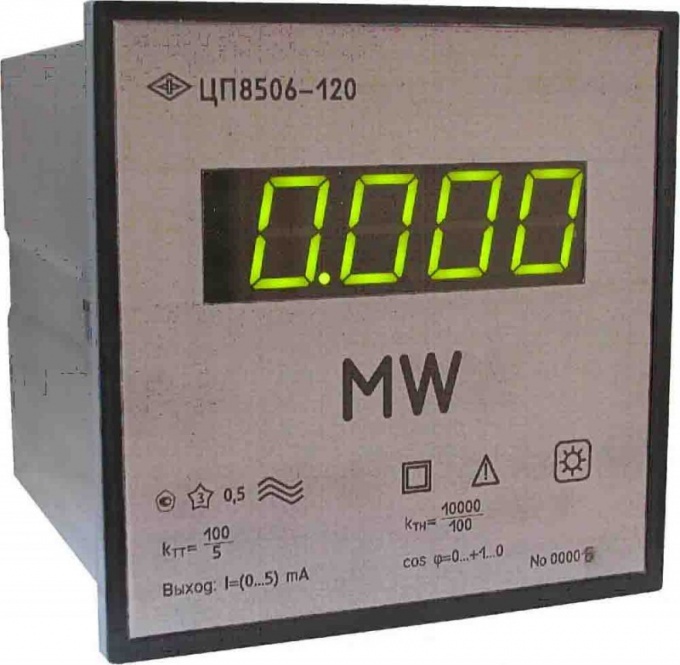 For this you can use a conventional tester, just to measure the voltage, connect it parallel to the lamp and current - in series. Find the product of the current to voltage. The result is the lamp power in watts. If you know the resistance of the lamp, it is sufficient to only measure the current or voltage with a tester. If the measured voltage to determine the lamp power, lift its value in the square and divide by the resistance: P=U2/R. If you know the amperage, the power calculation, find the product of the square of current and resistance values: P=I2•R. the measurement of voltage and current on the DC source be sure to consider the polarity of the measuring instruments, so they don't spoil. Attaching devices connect devices with disconnected power source.